"To paraphrase an overused cliché in travel, there are three very good reasons to book the L’Aiguille Rouge, and they all start with an L! The location of this hotel is unbeatable with skiing out of the door, and a well located “magic carpet” conveyer belt to take you back to the ski room in the afternoon. " This great value for money club-style hotel offers ski-in, ski-out convenience in the centre of Arc 2000, with spectacular views of Mont Blanc. The Aiguille Rouge is ideal for families as interconnecting rooms and free children's clubs are available. 218 - Twin or double rooms, with a small third bed, bath or shower ,balcony, TV and telephone. South-facing 'privilege' rooms with a clear view of the mountains are available at a supplement. Interconnecting rooms are available and pairs of rooms can be booked together. Single rooms are available on request at a supplement. Just got back from my first ski holiday ever and can't recommend this hotel and resort enough. The food was fantastic and varied, accommodation clean and quiet, ski- in and out was superb, and the snow was perfect. The hotel sits in a great position with easy access to the slopes, equipment hire, ski schools and Les Arcs 2000 town. The area itself has loads of blue, red and black slopes, so there is a lot of piste to enjoy if you're a beginner, intermediate or advanced skier. 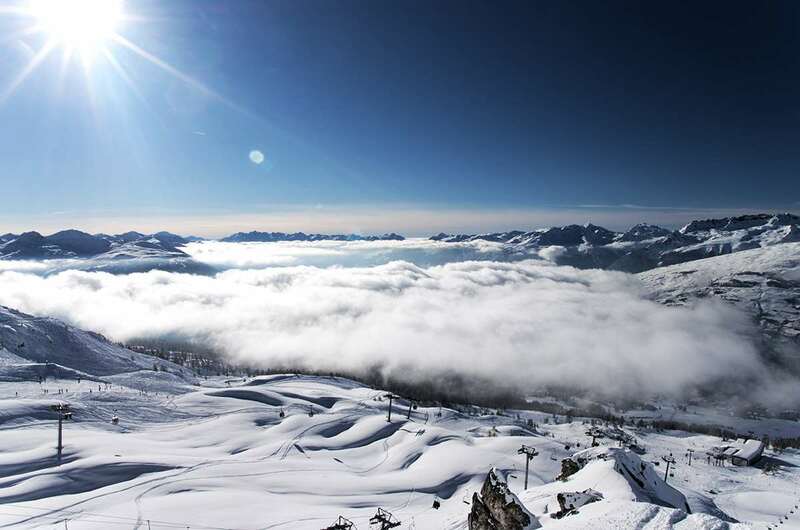 If you're tired of skiing in Les Arcs, you can always ski down to La Plagne which is just over one of the peaks. In the evening the bar area hosts a number of activities and the staff were always friendly, hospitable and helpful. While the resort itself can get quite busy, but the hotel never felt crowded. Overall I would highly recommend the hotel, definitely worthwhile if you're looking for somewhere great to stay with easy access to a variety of slopes.